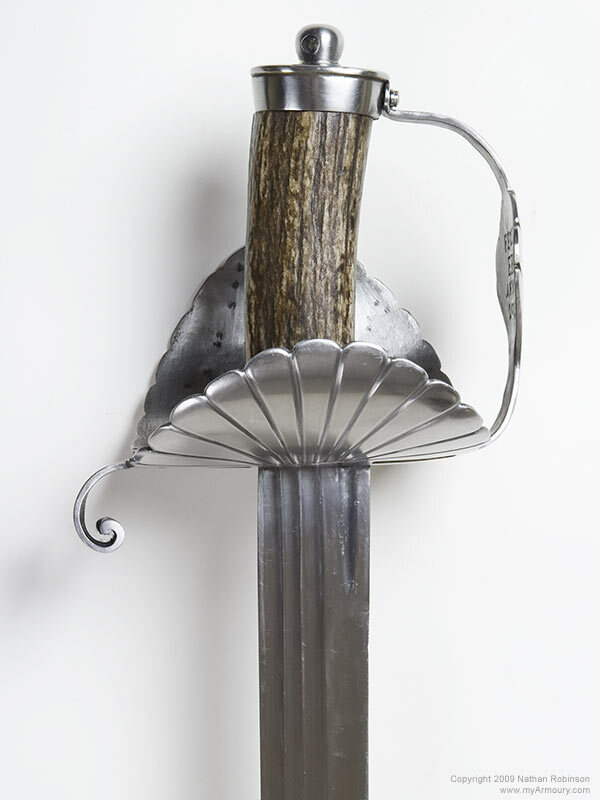 This type of sword has a hilt fairly typical of those found in Western Europe in the 17th-18th centuries and can be seen on both Naval and hunting weapons. The twin scalloped shell guard suggests a maritime theme but it is impossible to make this connection with certainty. 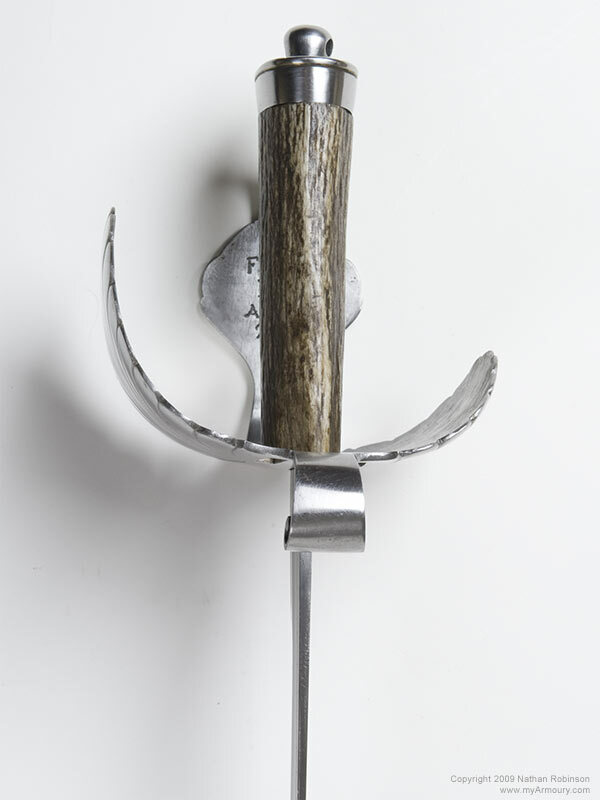 Similar samples are found in the Tøjhusmuseet (Royal Danish Arsenal Museum) and are described there as cutlasses. 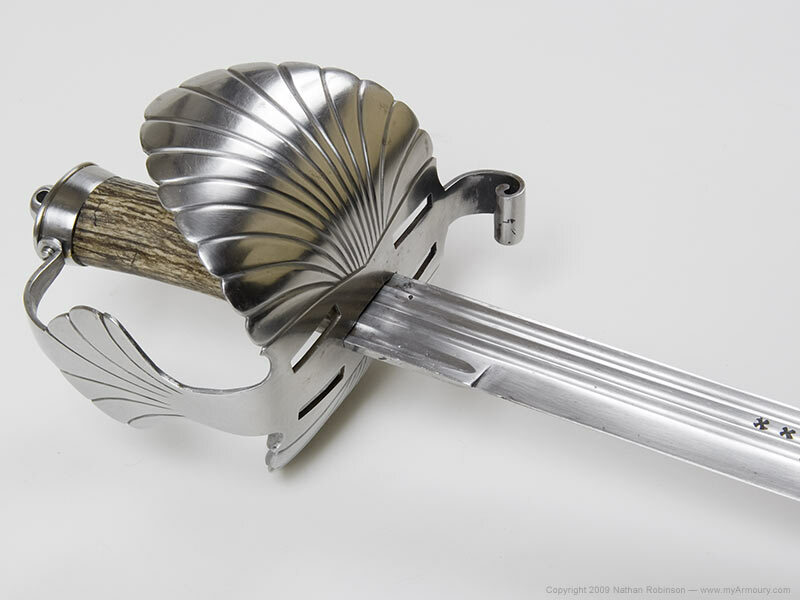 The hilt is formed by a large scalloped shell on the front and a smaller one on the reverse. 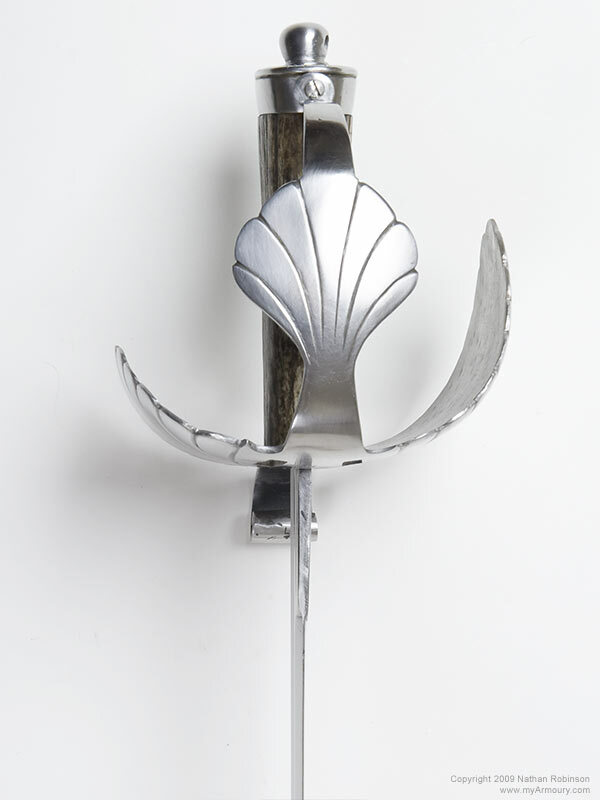 Each shell is pierced with two slots near the blade intersection. 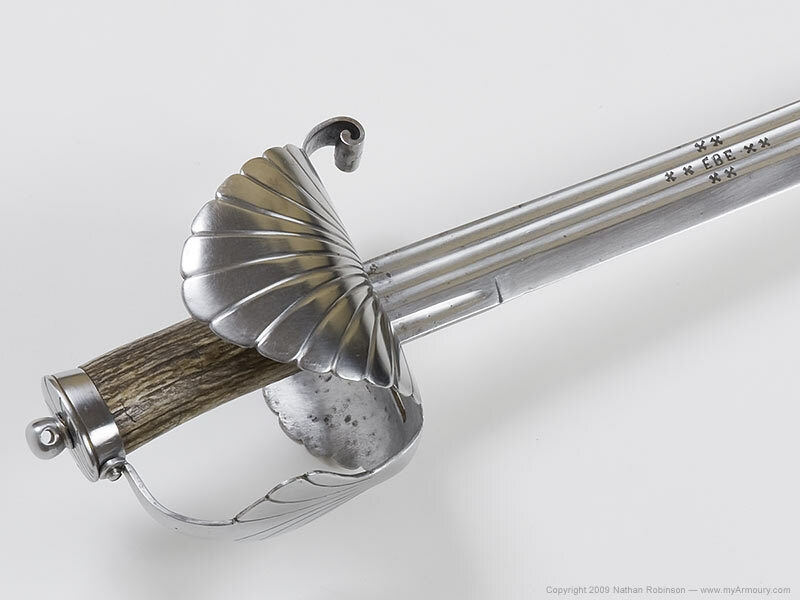 A knuckle-guard extends from the union of the two shells and fans out at its center into a scalloped shape, providing further protection for the hand. 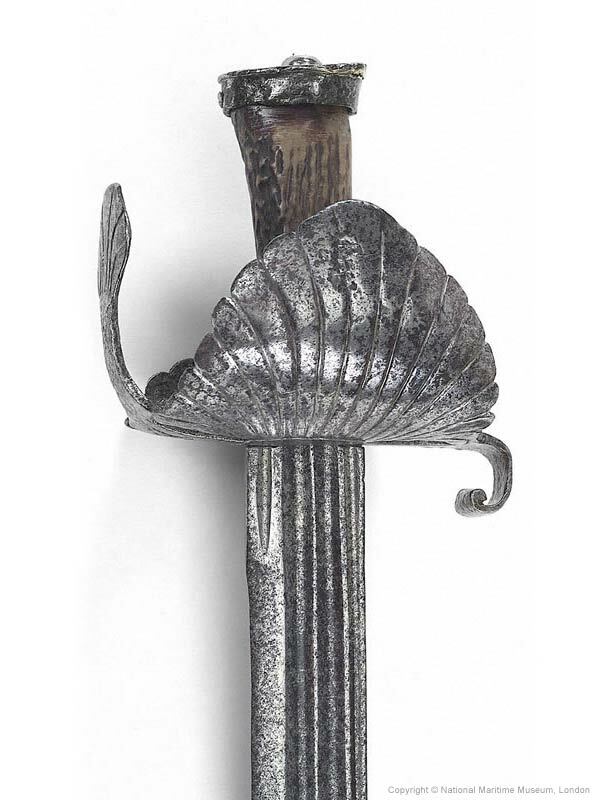 This extends to the pommel cap where it is attached with a single screw (this section of the antique hilt is missing). 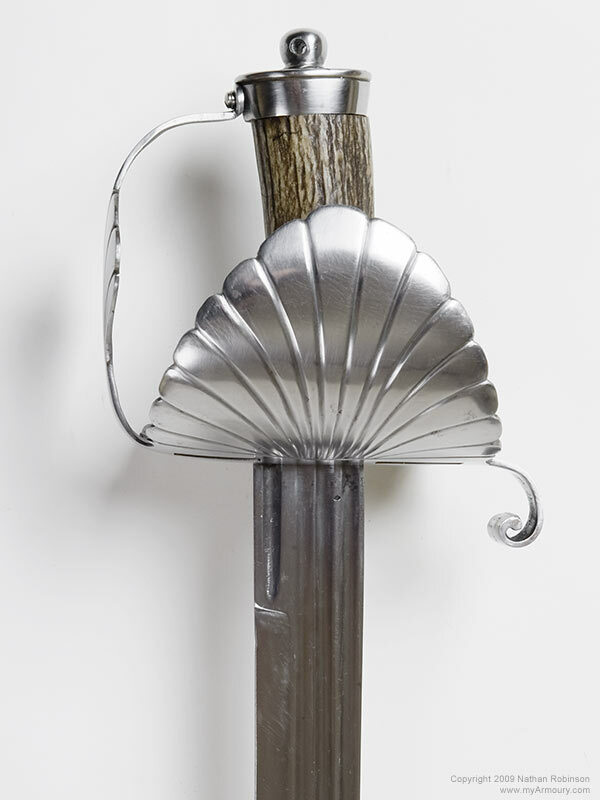 A scrolling forward guard extends and flares outward towards the point of the blade. 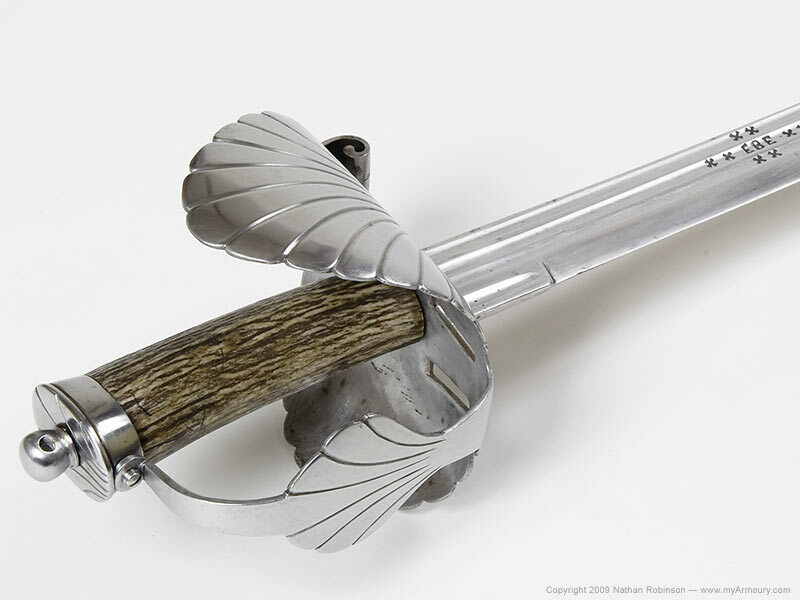 The grip is made from a carefully selected and polished piece of stag horn. 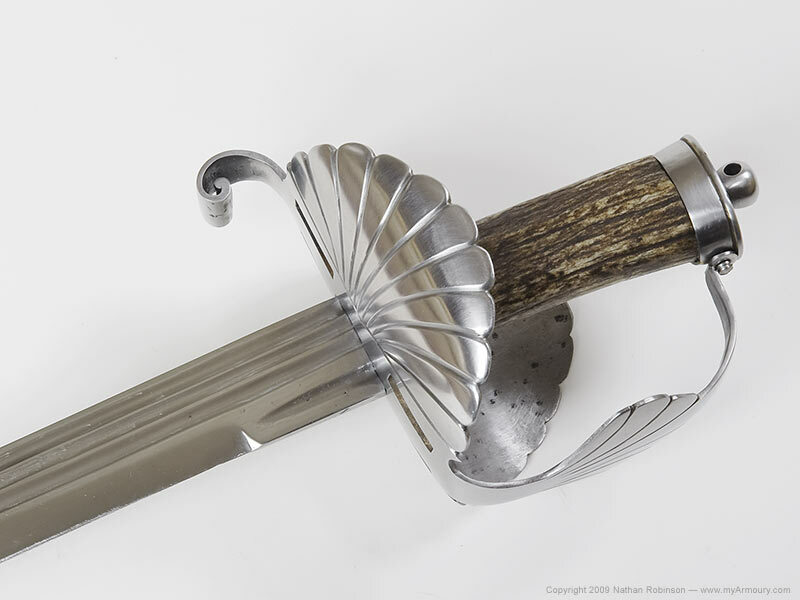 It is asymmetrical and swells just enough to fill the palm when the sword is held. 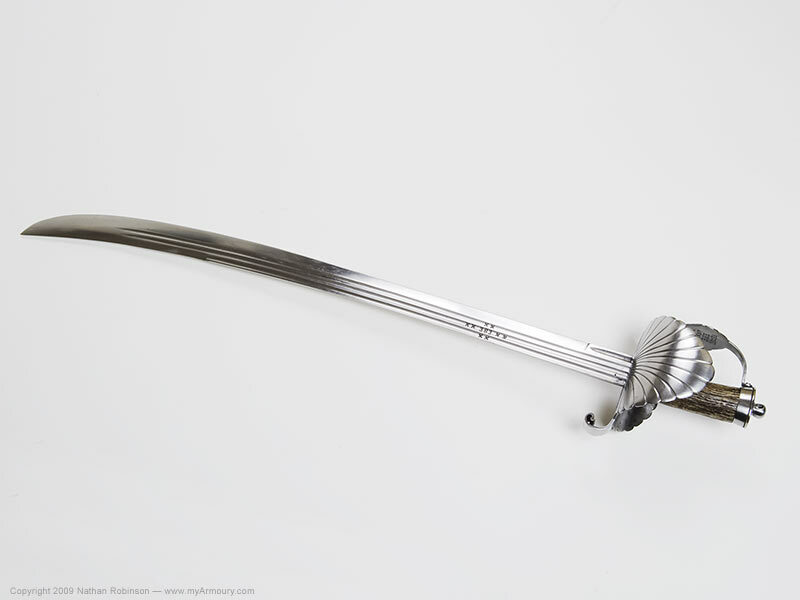 The gradually curved single-edged blade has one deep fuller extending three-quarters the length of the blade at its spine. Below that are two longer fullers and a very short fourth fuller at the ricasso. 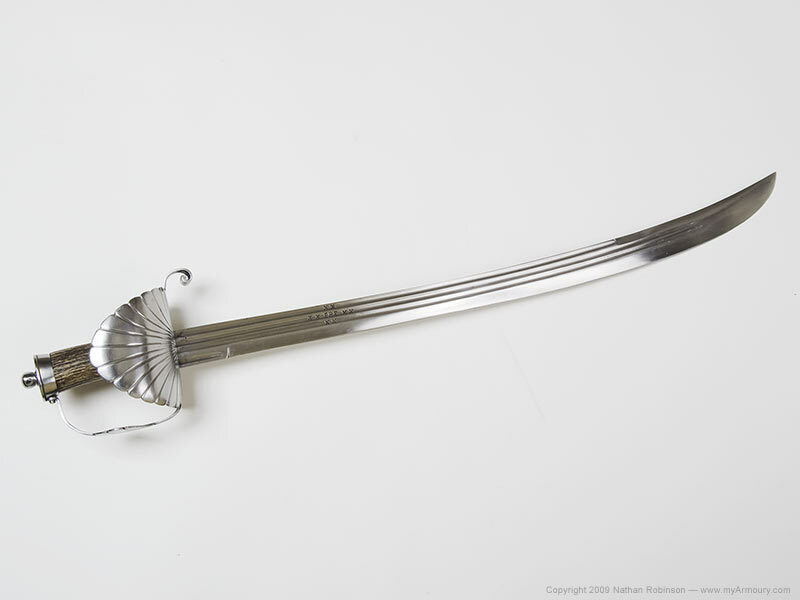 The false edge is 8.25" long. 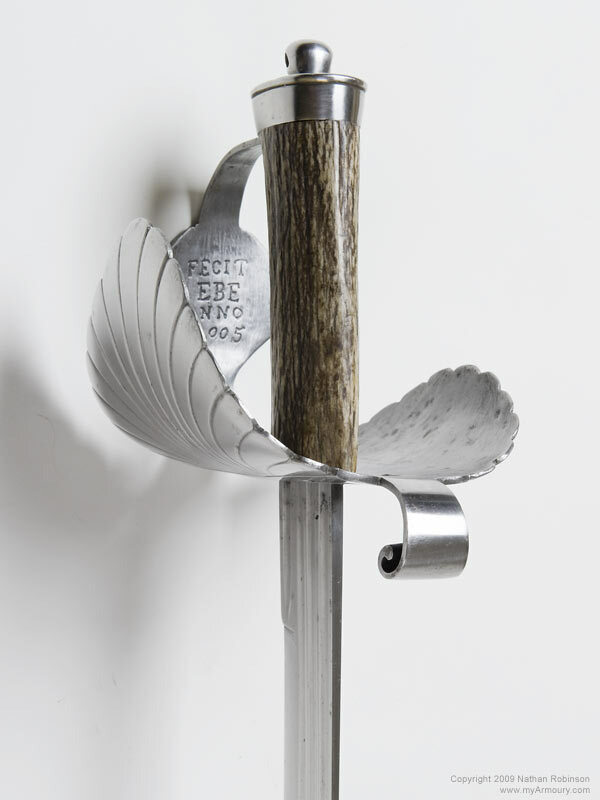 This piece is based on a 17th century hanger located in the National Maritime Museum, London.